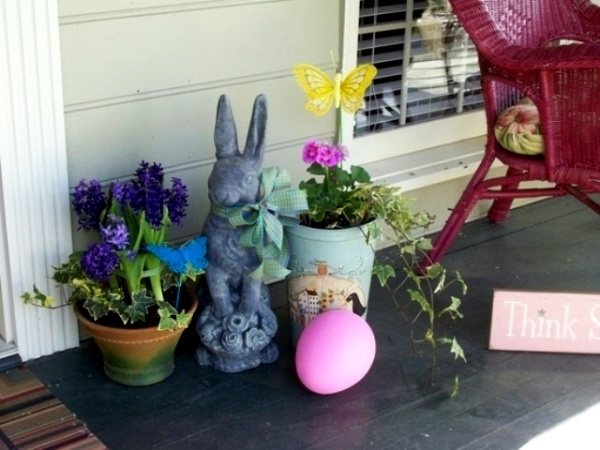 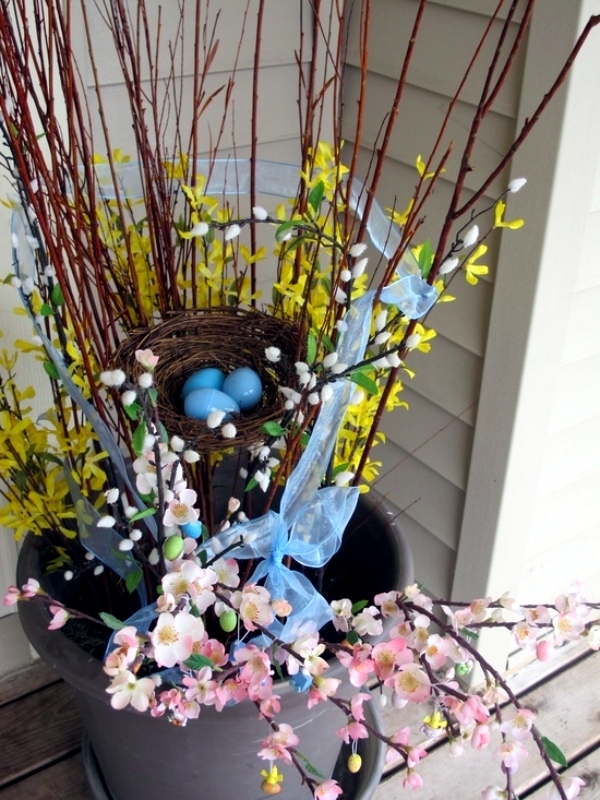 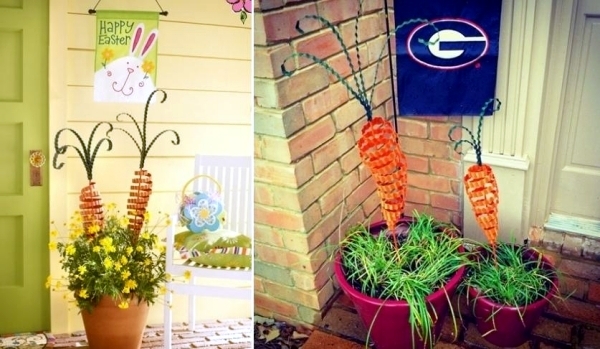 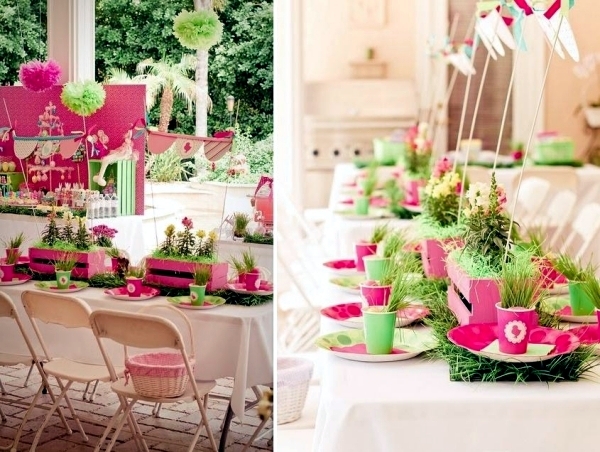 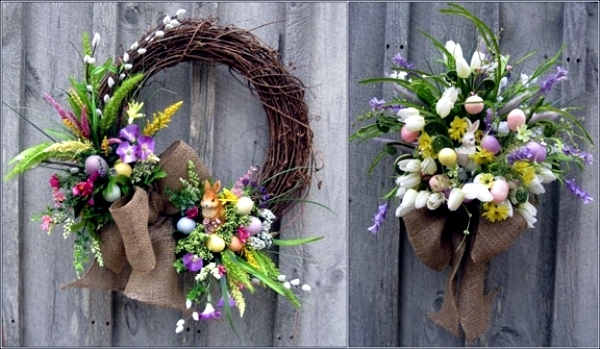 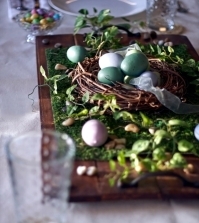 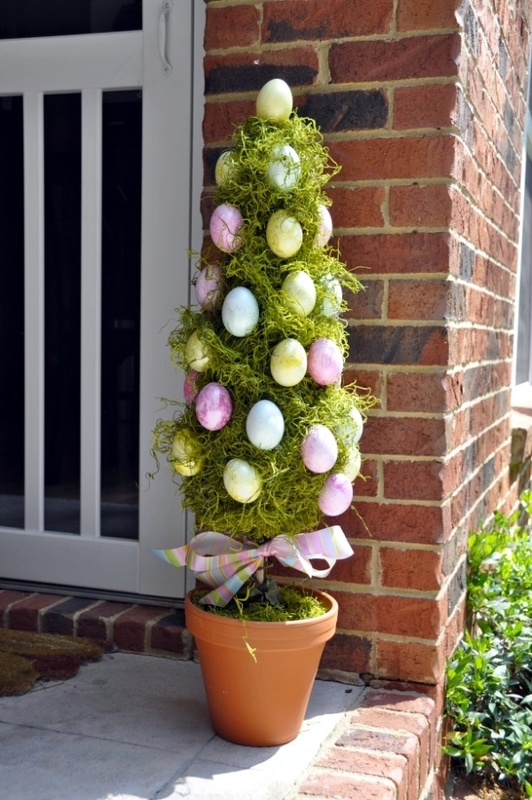 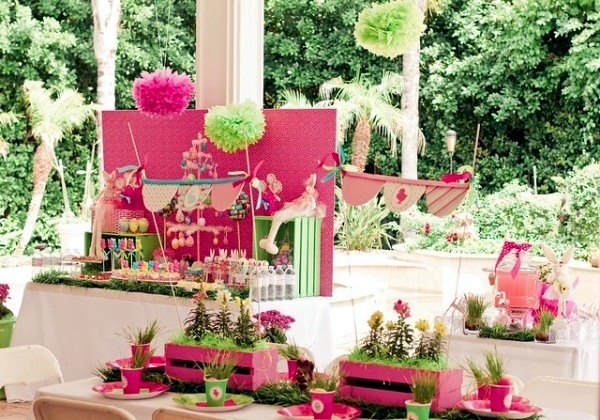 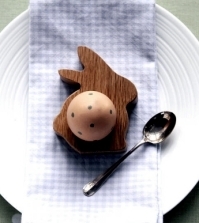 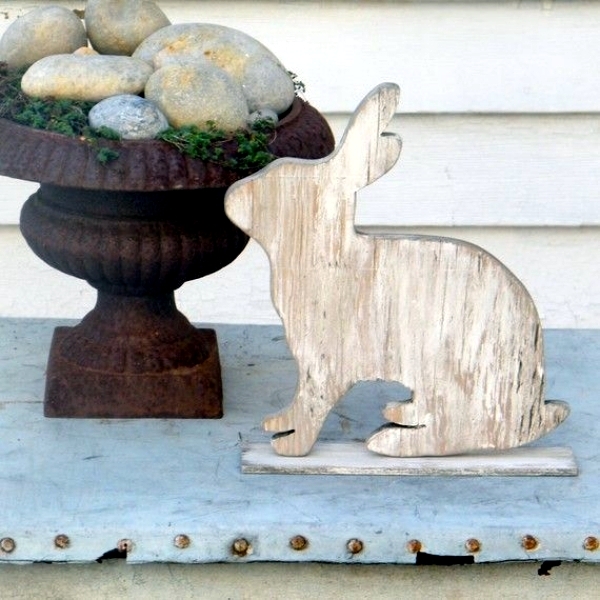 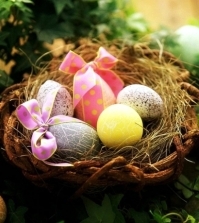 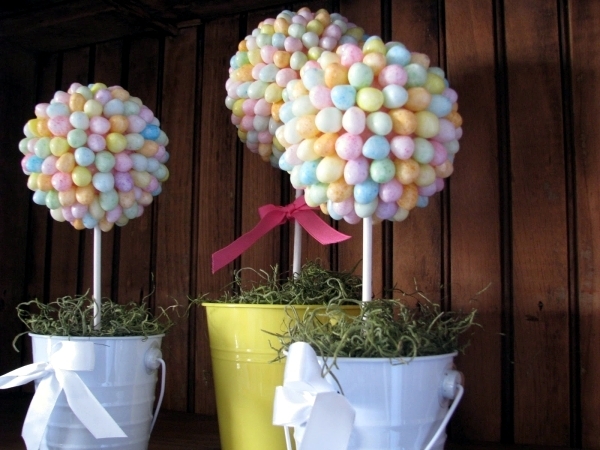 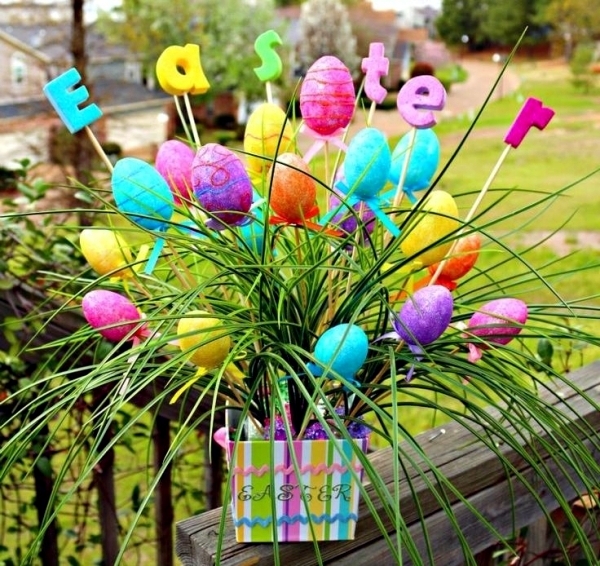 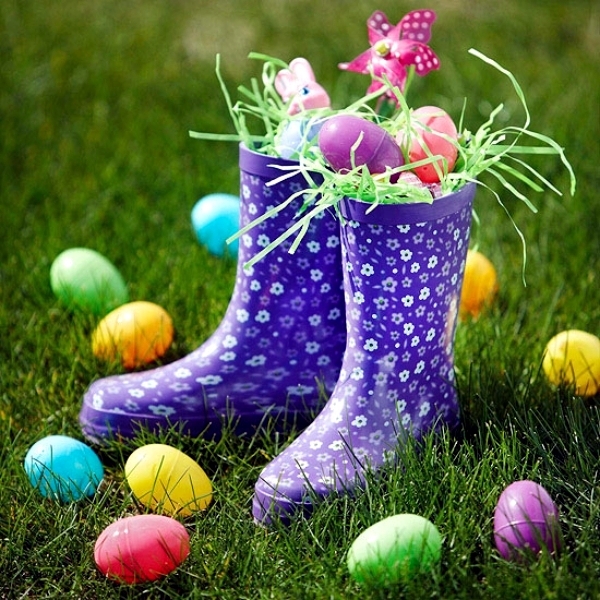 Home > Interior Design > Outdoor Easter decorations – 27 ideas for the garden and home exterior. 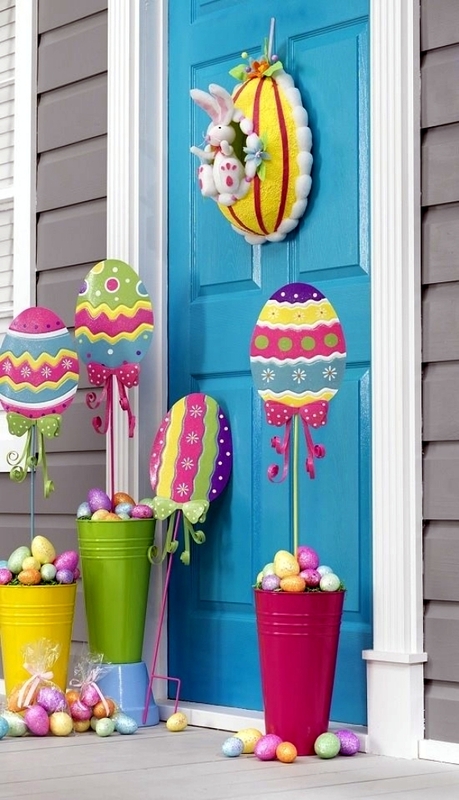 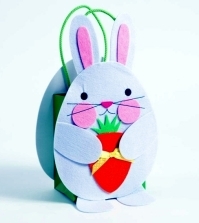 Easter is a wonderful time for all artists and amateur enthusiasts to make cute, fun decorations for the home, everyone loves Easter! 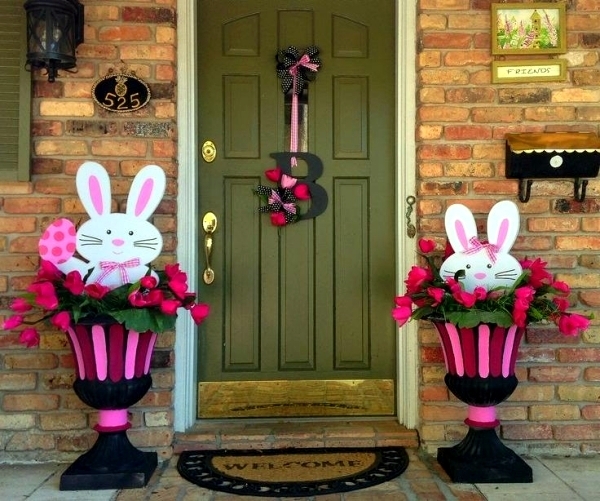 When it comes to porches, doors and gardens however most people run dry of ideas. 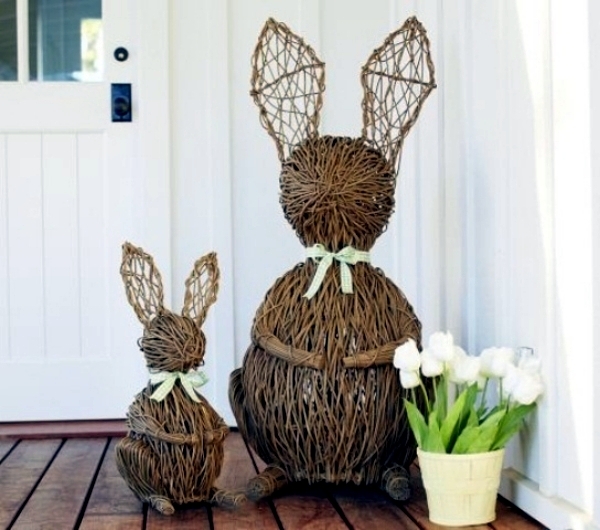 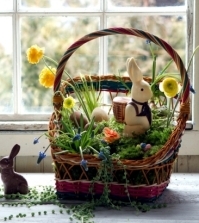 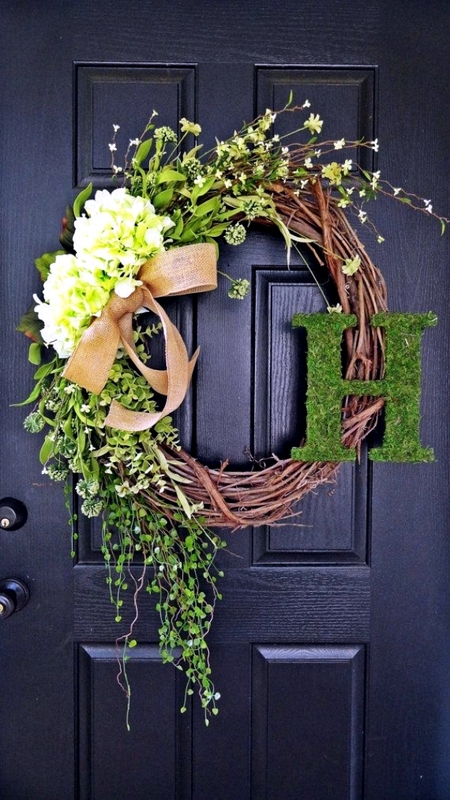 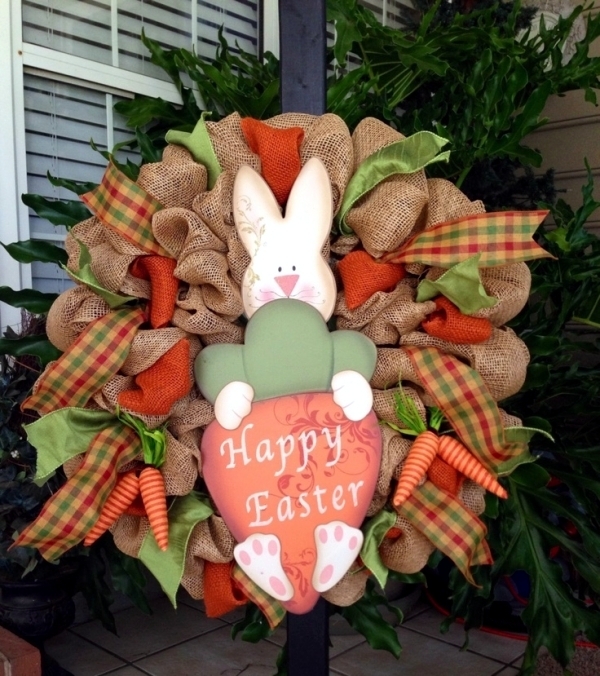 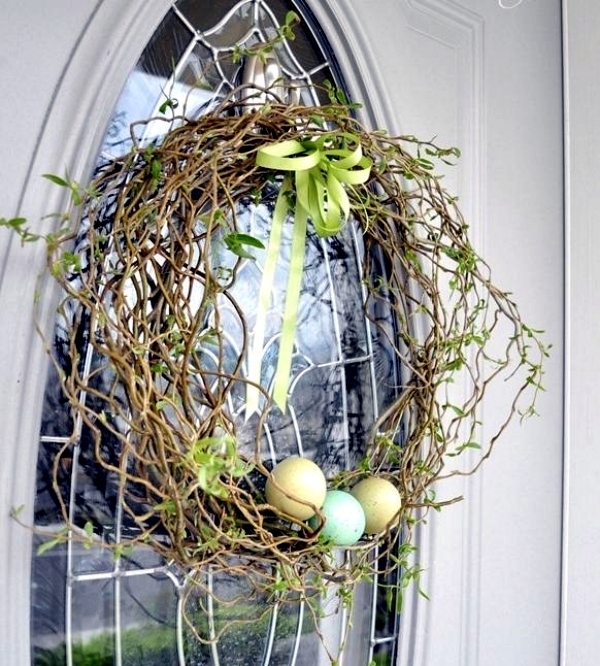 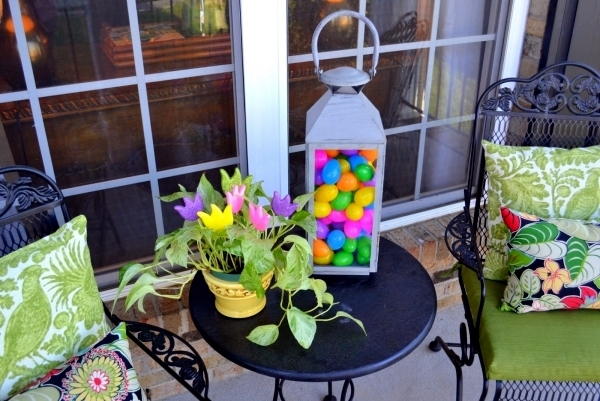 If you are looking for ideas for a welcoming home entrance and garden, you will find great ideas for Easter decorations for outdoors right here. 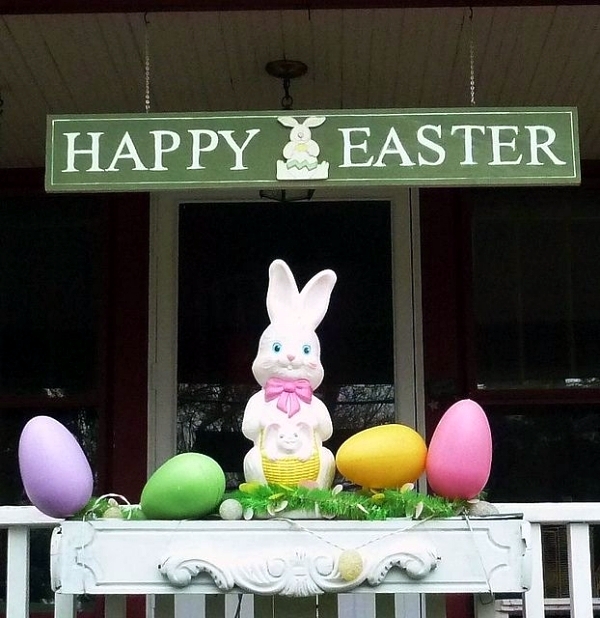 Not many people carry their Easter decorations through their entire property but when you do the effect captures the magic of this holiday celebration perfectly. 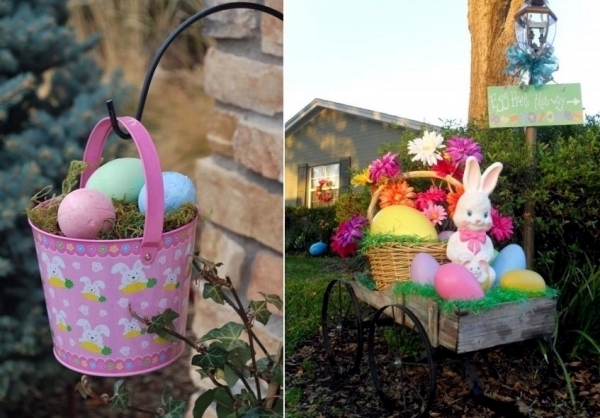 Using decorative objects, textiles and bright colors can really transform your terraces and gardens and ensure that the Easter theme runs through your whole property. 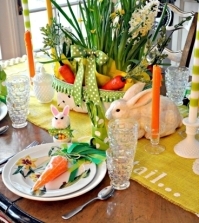 A joyful, bright Easter display communicates a love of life and all the good things in store in the year ahead. 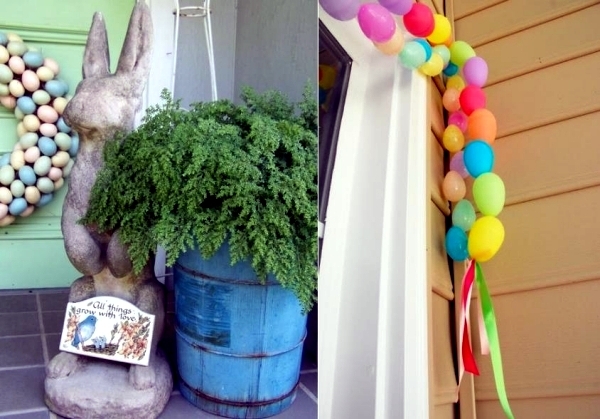 Funny animal characters can greet guests on arrival. 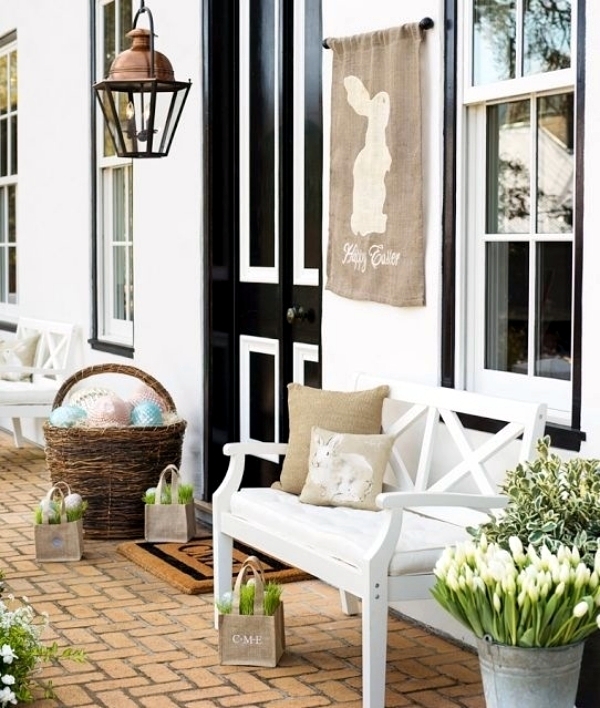 Easter bunnies hopping around the garden and lounge is enchanting. 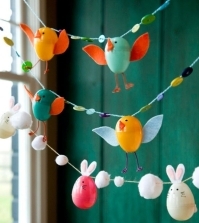 Cuddly lambs and sweet Easter chicks made of wool and felt or other colored fabrics bring a lot of joy to small children. 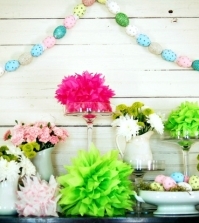 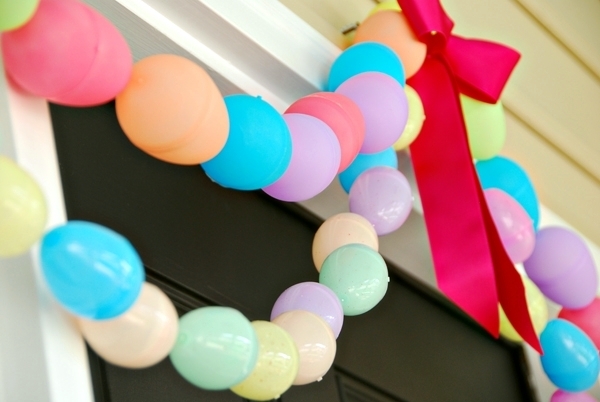 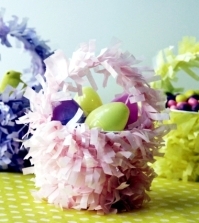 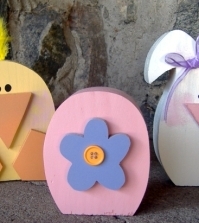 You can piece together different shapes and colors to make your own unique and perfect Easter accessories and decorations. 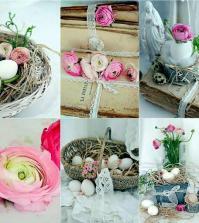 Spring brings good moods, light and joy. 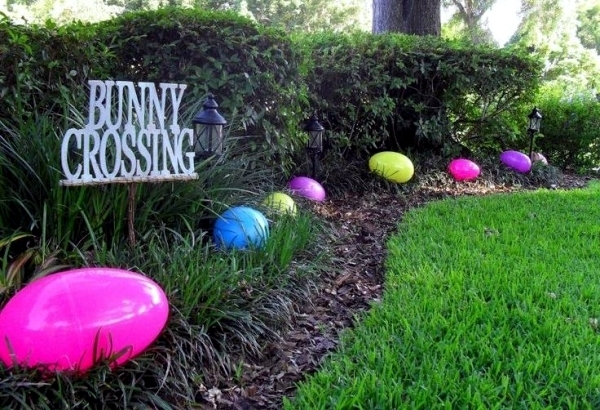 The world is slowly getting brighter and lighter. 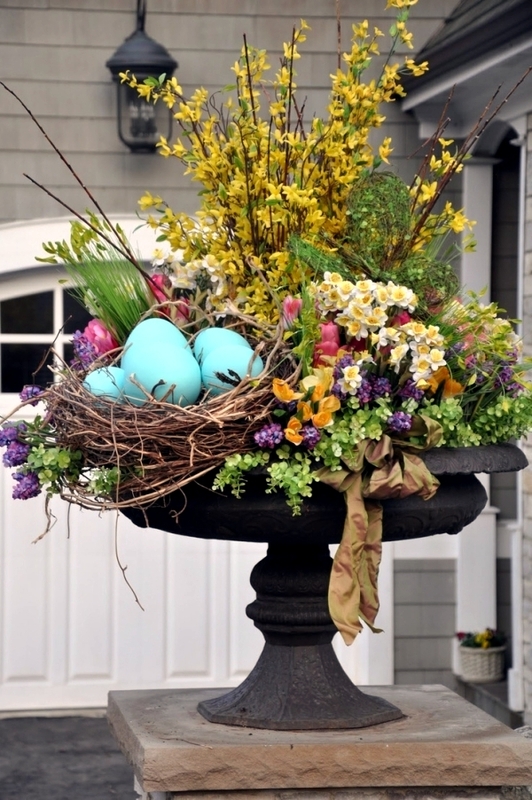 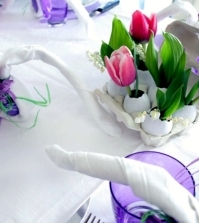 In the spring, you can decorate with natural materials - arrange flowers, moss, twigs, and decorate them with homemade decorations.